All entry tickets for both days of the HSBC Cape Town Sevens that went on sale to the public on Friday morning sold out in less than two hours. Computicket experienced unseen levels of interest as all the available tickets for the event on Saturday 9 and Sunday 10 December were snapped up shortly before 11h00 – less than 120 minutes after they went on sale. 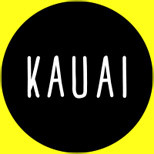 Sales may re-open in the event of commercial partners returning their allocation. However, SA Rugby advises that this is regarded as unlikely. Guaranteed entry via hospitality packages is still available for both days. They are priced from R995pppd up to R4095 pppd (ex VAT), including a match-day ticket, as well as various offerings of food, drinks and parking and are available through SA Rugby (Mingon van Rooyen – mingonv@sarugby.co.za), or Megapro (john@megapro.co.za). For fans travelling from abroad or out of town, tickets and travel packages are also available from SA Rugby Travel (www.sarugbytravel.com orinfo@sarugbytravel.com). SA Rugby yet again strongly warned members of the public not to buy from third party agencies or companies offering tickets and hospitality packages as these are entirely unofficial and cannot be guaranteed. Maritzburg College will take on Affies on their home turf on Saturday, 29 July at 13h00. The match will be televised live on SuperSport Ten from 12h55. Captain Salmaan Moerat returns for DHL Western Province U19 in their encounter with Xerox Golden Lions U19 at Emirates Airline Park on Saturday. Moerat missed the victory against Toyota Free State U19 at Brookside last week with concussion, but is back in the team for the match against the table-topping Xerox Golden Lions U19 which kicks off at 10h00 on Saturday. The only other changes to the starting line-up see Wian van Zyl get an opportunity at flyhalf, while Charl Serdyn is at flank in place of the injured Gift Dlamini. DHL Western Province U19 coach Nazeem Adams said that his team will have to work hard to continue the winning start they have made to their campaign. “We know that we face a serious test up in Johannesburg this weekend, which is something that the players are looking forward to. “There are still many areas in which we can improve, so the focus is on raising our performance to another level,” he said. DHL Western Province U19: 15 Marco Labuschagne, 14 Mike Mavovana, 13 Lyle Hendricks, 12 Henlo Marais, 11 Christian Guetang, 10 Wian van Zyl, 9 Labib Kannemeyer, 8 Muller Uys, 7 Shaine Orderson, 6 Charl Serdyn, 5 BJ Dixon, 4 Salmaan Moerat (captain), 3 Sazi Sandi, 2 Schalk Erasmus, 1 Leon Lyons. Replacements: 16 Liam Larkan, 17 Reece Bezuidenhout, 18 Adam Neethling, 19 Jesse Johnson, 20 Austin Brummer, 21 Deon Carstens, 22 Francke Botha, 23 Nathan Nkutu. The following speech was delivered by the City’s Executive Mayor, Patricia de Lille, at the full Council meeting today, 27 July 2017. 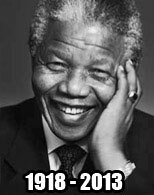 Mr Speaker, may we have a moment of silence for the councillors who passed away: Templeton Mgxekeni, Xolile Gwangxu, Mandisa Menisi, anti-apartheid activist and government spokesperson, Ronnie Mamoepa, jazz legends Errol Dyers and Ray Phiri, and the fire victims. I would like to welcome all councillors back from the mid-year recess. I trust that we are ready to continue taking service delivery to the next level. Our latest consumption levels are extremely worrying as many people believe that they can go back to normal behaviour due to recent rains. These recent rains are not nearly enough as we are still in a drought crisis. 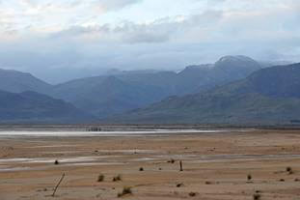 The drought conditions are the New Normal for Cape Town as a water-scarce region. To adapt to the New Normal, we have to change our behaviour drastically to save water while we still have water to be saved. Too many people are not listening to the City’s warnings and appeals to reduce their consumption. The rainfall has made a very small impact on our dam levels. The fact that we are still 143 million litres over our 500 million litre target per day means that those who are not reducing consumption are playing with everyone’s future in Cape Town. The City thanks all of the private sector players who took part in this process. The RFI solicited interest from for-profit and non-profit entities in forming possible partnerships with the City to supply, install, and operate temporary plants at various locations along the sea shore and at certain inland locations, for the injection of drinking water – the standards of which are defined by SANS 241 of 2015 – into the City’s water distribution network. ‘Our Water and Sanitation Management Department is currently busy with the technical scrutiny of the inputs received. We will communicate in more detail as soon as possible. The proposed solutions are varied, as one would expect from a wide ranging call for information and ideas. It must be stressed that the temporary installation of water plants is intended to build resilience and to ensure that the households and businesses of Cape Town are not adversely affected by acute shortages of surface water. 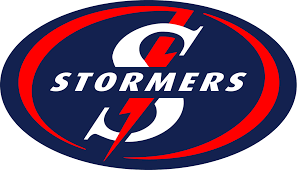 Fullback SP Marais and flank Rynhardt Elstadt return for the DHL Stormers’ Vodacom Super Rugby quarterfinal against the Chiefs at DHL Newlands on Saturday. The experienced duo return from injury in the only two changes to the DHL Stormers’ starting line-up for the play-off match, which kicks off at 17h00 on Saturday. In the only change to the backline Marais returns from a knee injury and starts at fullback, with Dillyn Leyds moving to the wing and Seabelo Senatla set to provide impact off the replacements bench. Elstadt was a late withdrawal last week due to a wrist injury, but is fit to take his place on the side of the scrum for the quarterfinal, with Sikhumbuzo Notshe among the replacements. There are just two other changes to the matchday squad, with fit-again props Oli Kebble and Wilco Louw both included on the replacements bench. DHL Stormers Head Coach Robbie Fleck said that his team is looking forward to playing in front of the DHL Newlands Faithful. “The players and management have put in a lot of hard work and in preparation for this game. CAPE TOWN – Watching the Stormers’s Super Rugby quarter-final on Saturday against the Chiefs at Newlands will leave you out of pocket. Local rugby supporters are disappointed with the increase in ticket prices, and some will rather watch the game on television. Ticket prices in category one for the play-off clash have increased from R140 for a regular season match to R395. Patric Kayanje said fans should have been told that the Western Province Rugby Union were considering increasing prices for the knockout stages of the competition. The increase will keep Ryan Davids at home. “I am a huge fan of the Stormers, but I would rather watch the match at home with my friends and family than pay double, as I cannot afford it and don’t think it’s worth it,” he said. WP Rugby chief executive Paul Zacks disagreed. “No, the tickets have not increased because we were told the prices of all categories must remain the same as they were in 2016,” Zacks said. Buy your DHL Stormers vs chiefs tickets here! The DHL Western Province team completed a dream season in the inaugural SuperSport Rugby Challenge by beating a gutsy Tafel Lager Griquas 28-19 (28-0 halftime) in Cape Town on Sunday to become the first winners of the tournament. 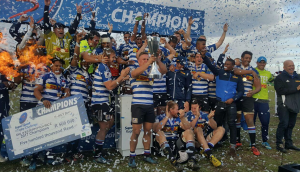 The victory, their 11th in a row, delivered not only a handy R500 000 in prize money and a brand new trophy to the DHL Newlands trophy cabinet, but also secured that they remained unbeaten in the tournament, which saw 67 matches being played. The final, played in front of a capacity crowd at Florida Park in Ravensmead, concluded what turned out to be a memorable first addition to the South African rugby landscape. As the previous 66 matches, the final delivered another spectacle to an appreciative crowd, this time with the home side hitting the heavy turf of this community venue running. They scored four tries in the opening half hour of play as the visitors struggled to adapt to the heavy underfoot conditions. Winger Bjorn Basson bagged the first for the home side after 15 minutes of play and a golden spell of three converted tries in the next 20 minutes all but secured the win for the home side.